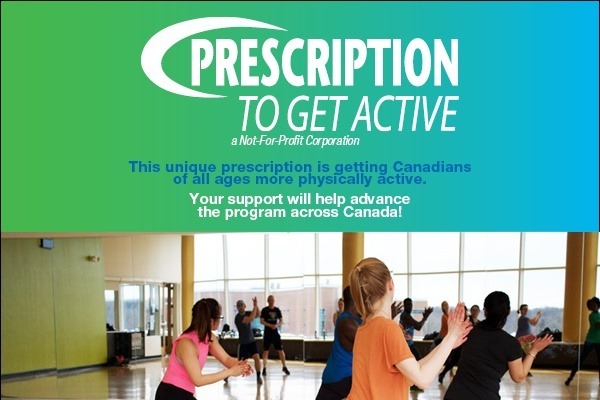 Prescription to Get Active is a program aimed at making physical activity an extension of healthcare. ● 31,000 fewer cancer cases in Canada within 25 years. This could reduce healthcare costs by $2.6 billion and inject $7.5 billion into the Canadian Economy. The program was launched in Alberta in 2011 and by 2015 became a national not for profit corporation. The program is now prescribed by 92% of doctors in the province. 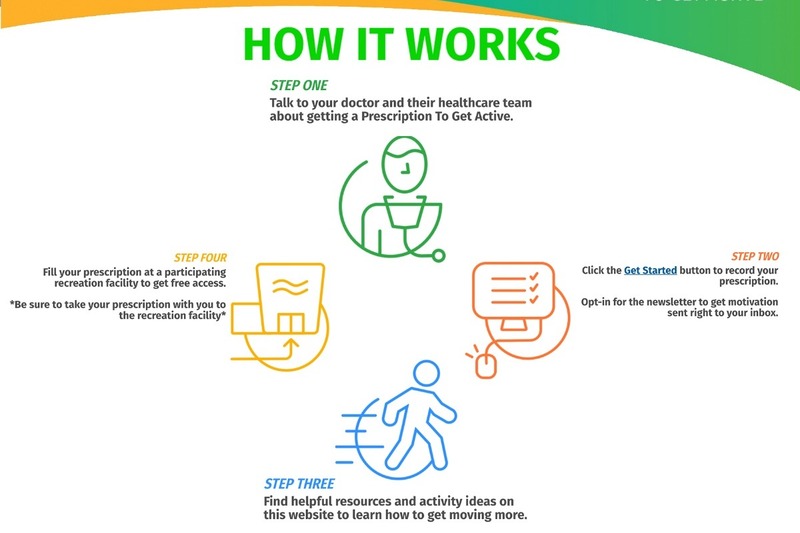 In 2017, 13,278 prescriptions were written, and 3,457 were redeemed through the website or at Rec centres (26%), with 43% of facility visitors purchasing additional passes after the free trial ended. Scaling this program would come in phases to roll it out in Ontario, optimize its operations and get the funding to expand it across the province and beyond. The first phase of the rollout is establishing the first 10 communities in Ontario, and the focus of this fundraising effort. The basic infrastructure, website and people are in place, and it has soft launched in 4 communities already (Markham, Forest Hill, London, Stouffville), but this has taught us what resources will be required to expand the program effectively. This starts with hiring a full-time project manager who can coordinate reaching out and introducing the program to healthcare and fitness providers, the onboarding and training of new healthcare and fitness providers and facilitate the tracking of prescriptions and outcomes. This training will also require video and print resources, along with travel expenses to get trainers to providers, and there are also printing needs for marketing including prescription pads for healthcare providers. The organization also has some minor operating expenses for phones, internet, legal, etc. With these things in place, we will have the resources and materials to roll the program out to 10 communities in Ontario, along with having multiple healthcare and recreation providers in each community. With proper tracking of prescriptions and outcomes across 10 communities, we will also start to gather the data needed for further provincial and federal funding. In most cases, and especially with healthcare related funding, programs require some history of success and way to track the efficacy of the program related to funding goals. This funding will be key to expanding the program and continuing to improve its effectiveness. The goal with this phase will be to expand the program to 20 new communities in Ontario, and collect more long-term data on patient outcomes to build a study on the efficacy of the program. With more long-term data from more communities, the case can start to be made that the costs of paying for prevention in the form of activity (fitness) support will help save cost on future treatments. This is a key step in seeing preventative care in this form covered by the healthcare system. With almost two years of data and the program working in multiple communities across Ontario, the next phase will be focused on scaling the program to the whole province, and then the whole country. This data will also help make the case to see this program or an extension of it covered by the healthcare system as a form of preventative care. Donations will help fund the first phase of this program and establish the foundation to build towards this bigger vision. They will go directly to the charity to cover the operating costs, printing and production and hiring of a project manager to help roll the program out to 10 communities in Ontario. This will allow us to leverage further provincial and federal funding in the future, along with corporate sponsorship, in order to continue to expand the program across the province. Please help us get started by donating or sharing this with anyone you know in the healthcare or fitness industries. Your support will lead to a more active Ontario and more active Canada. Help us show the world that activity and fitness is the top form of preventative healthcare.